George Timothy Trezevant was the third and youngest son of James Peter Trezevant and Mary Hicks Trezevant. He was born in Cayuga, Hinds County, Mississippi, on October 22, 1846. 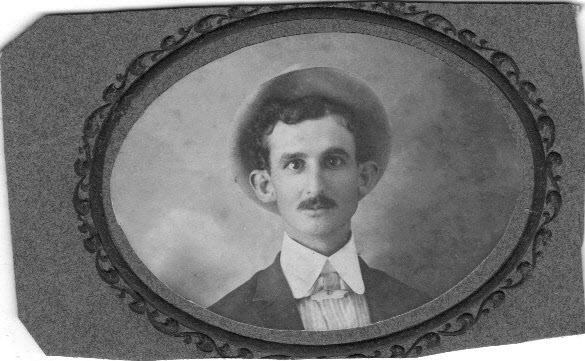 Along with his parents and two older brothers he moved with the family to Deerfield in northern Louisiana in 1852. Deerfield (now Delhi) was in the original Carroll Parish; Delhi is now in Richland Parish. They left Mississippi when George was only six years old. Only a few years after their arrival George’s older brother, Vernon Charles Trezevant, died at age sixteen. His father, James Peter Trezevant, died four years later in 1860. Their tombstones are considered the oldest in the Masonic cemetery in Delhi, though it is likely the slabs were put in place later, since each one is large and made of etched marble. In 1862, at the age of sixteen, George joined the Confederate army and served until the end of the war. He then studied medicine in New Orleans, graduating in 1869. He set up a large and lucrative practice in Tallulah, Madison Parish, Louisiana. On December 7, 1871 George married Julia Scott, who was from a well-known Tallulah family. She was the widow of Elijah W. Groves. She already had two children, Annie Louise Groves (1867- ) and Celia Agnes Groves (1869- ). My understanding is that the girls took the Trezevant last name. Annie Groves Trezevant married Frank Brown in 1887. 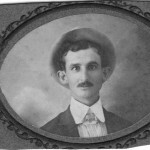 Celia Groves Trezevant married Claude C. Buck in 1896 in Taylor County Texas. George and Julia had four children of their own. Julia Groves had received a life insurance payment at the death of her first husband and she and/or her daughters inherited land from his estate. There was litigation involving the land and much of it was lost. As of 1875 the George Trezevant family lived on Pinch’em Easy plantation, which covered several thousand acres in Madison Parish. At some point the boundary between Madison and Tensas parishes was moved. It seems to me that Julia Scott Trezevant (as the daughter of Robert H. Scott) and Amelia Scott Bass (as the daughter of T.B Scott) might have been first cousins or otherwise related. Though Dr. George T. Trezevant was buried in Abilene, Texas, his wife Julia Scott Trezevant was buried in the Monroe City Cemetery in Monroe, Ouachita Parish, Louisiana. Their three sons, William Farquhar Trezevant, Claudriss Lott Trezevant, and George Montgomery Trezevant were also buried there, along with George M. Trezevant’s wife, Willie Octavia Potts (1882-1964). While growing up in Texas and visiting family in Louisiana, I never heard mention of George Timothy Trezevant or his family. 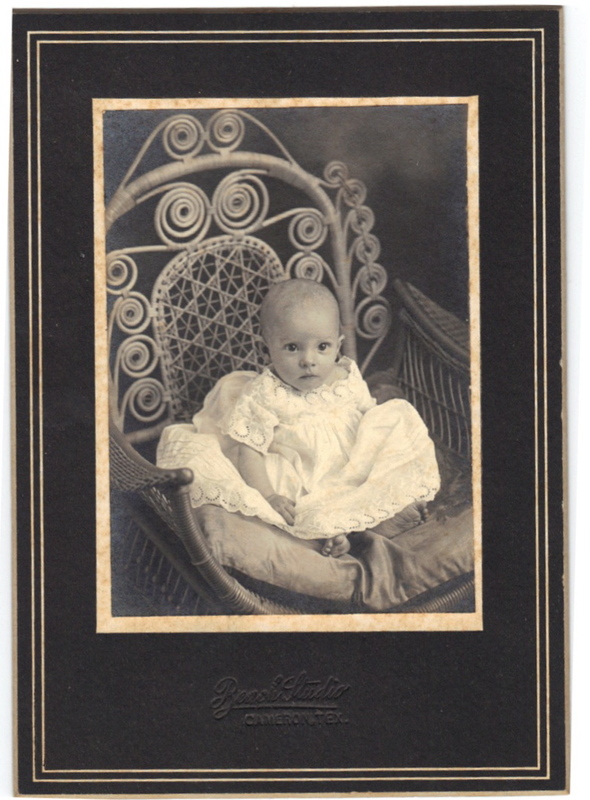 However, at least one photograph in an album prepared in 1903 by my grandmother, Eula Foster Trezevant (1883-1977), contains a photo identified as one of his sons, Claude Trezevant. 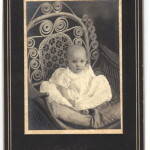 The album also contains a photo of Annie Louise Trezevant as an infant. There may be other photos in the album from George’s family but the photos are unlabeled. Bass, Charles F. Ph.D., M.D. Email correspondence with the author. 2010-2011. Grunden, Billie. Email correspondence with the author. 2014. McKoin, Florence Stewart. Between the Rivers: A West Carroll Chronicle. Baton Rouge, LA: Claitor’s Publishing Division, 1971. Sevier, Richard P. Email correspondence with the author. 2010-2013.